It’s no trick! Even if you don’t own a craft cutter you can still DIY with Siser HTV! Halloween falls on a Tuesday this year, but most trick-or-treating is this weekend. While you’ve probably spent weeks deciding and/or creating the perfect costume it’s easy to let the actual candy catchers slip your mind, but they’re the most important accessory of the evening! If you’re in a pinch, don’t worry! I’m sharing some simple hand cut designs that are festive, but also fast to whip up! These trick-or-treat bags are so easy you could even have the kids cut their own (if they’re old enough to handle a pair of scissors.) For heat application you may want to step in, or at least supervise around the hot iron. If you need to brush up on our guidelines for ironing on Siser HTV watch this video. To make a ghost all you need are 3 black ovals. Two smaller ones for the eyes, and a large one for the mouth. I used my scissors to cut the shapes from black EasyWeed® and laid them out on a white tote bag. If you’re letting the kids do this part, make sure the shiny side is face up before ironing. If the dull side is up, it will adhere to your heat transfer cover sheet and not the tote bag. The photo below shows the wrong side (adhesive side) up on the left and the right side (carrier side) up on the right. However, before you iron on all the pieces of HTV, iron the tote bag like you normally would to remove any wrinkles or moisture in the fabric. When the fabric is nice and flat you can re-position the ghost face. 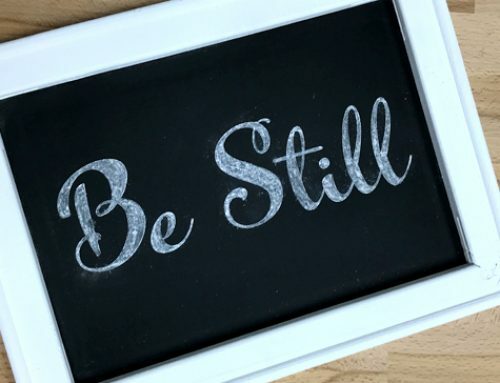 Cover everything with a heat transfer cover sheet (or parchment paper, a clean pillow case, or pressing cloth will work just as well) and press firmly with your iron on each section of the HTV for 20 seconds. My iron is set to “Cotton” which usually ranges around 300°F and is sufficient for most Siser materials. When you’ve ironed everything, you can peel the clear carrier hot or cold. Removing the carrier can be a little bit harder when you hand cut since there is no edge left from weeding away excess to grab onto and get you started. If you have your Siser Weeder handy though, you can use it to separate the carrier from the HTV. After peeling the carriers, if any bit of HTV is lifting, recover the area with your cover sheet and press for an additional 5-10 seconds. And now you have a ghost bag ready for a night out on the town! I even made a Glitter version using our new Galaxy Black because you know I couldn’t resist a little sparkle! If you can carve a real pumpkin than you can definitely hand cut a jack-o-lantern shape from HTV. It’s mostly just triangles and squares anyway! This would be a fun way to let the kids bust up your scraps bin too, if they wanted to add some silly accessories to their pumpkin face. Otherwise, translucent orange Glitter really pops on these white tote bags. I used the same steps from my ghost bags to make these jack-o-lanterns. Cover the area with parchment paper and press firmly for 20 seconds on each section. Arrange HTV pieces with the carrier side facing up. Letting Glitter rest for a moment or two before peeling the carrier usually prevents lifting HTV, but you can always iron over the area again if it’s not all the way adhered. Just be sure to use your heat transfer cover sheet to protect your iron from any HTV gunk. This patch of pumpkins is hungry for candy! If you’ve ever been in a crafting crunch (let’s face it, we’ve all been there!) 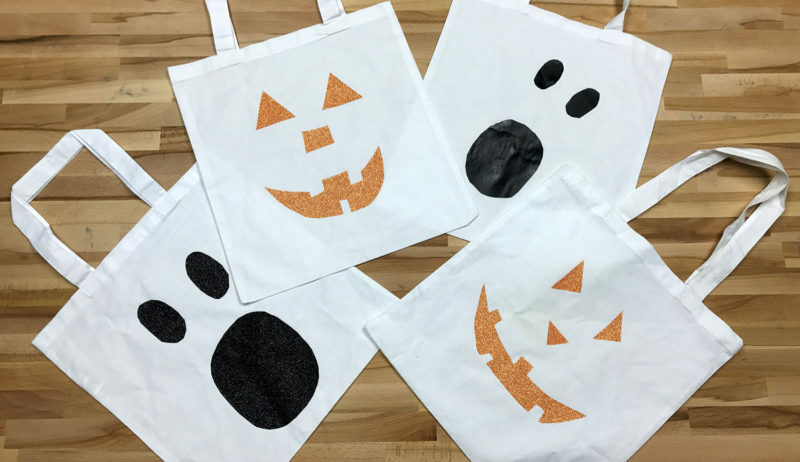 then this DIY trick-or-treat bag tutorial is for you! Pin the image below to help out other last minute crafters! Did you DIY your costume this year? If you used Siser HTV we’d love to see what you came up with! Use #SiserNA on social media, and we might just give you a shout out! Happy Halloween!